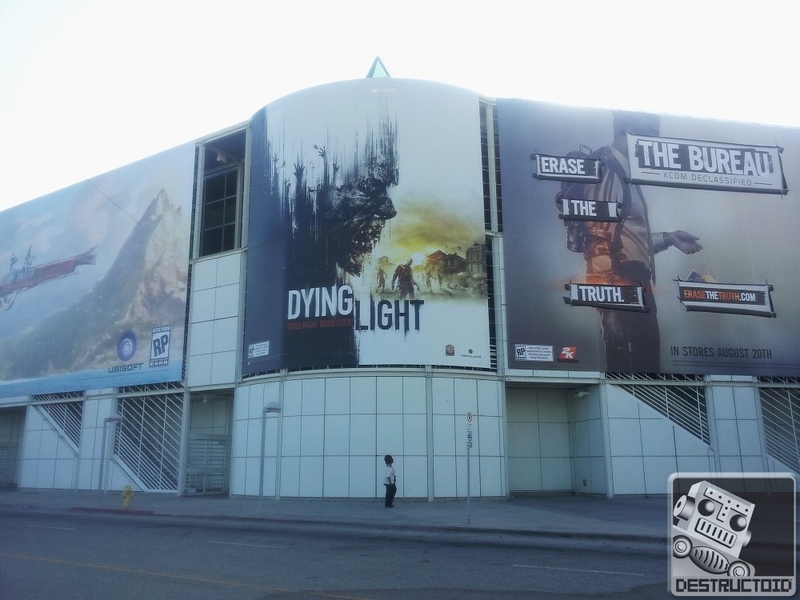 Dying Light Official Announcement trailer and Huge E3 presence! 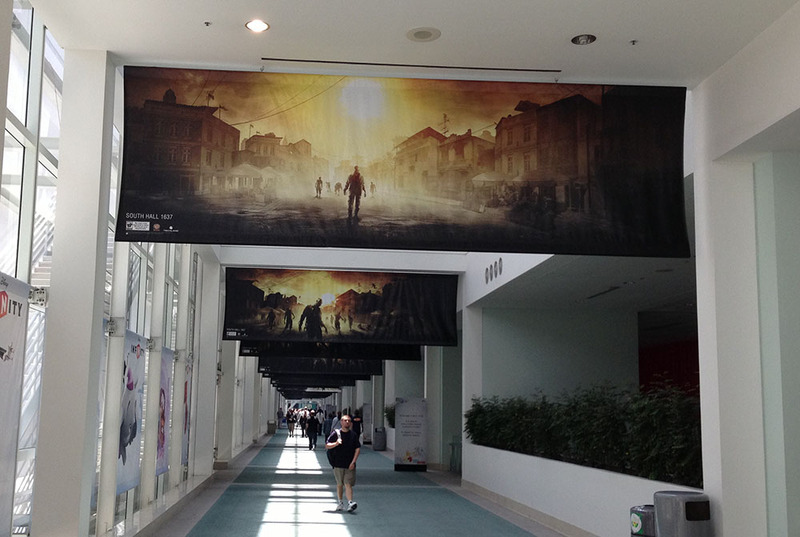 We are super excited to see that one of our upcoming video game projects is getting a huge push from Warner Bros Interactive for E3! The first look at gameplay is going to be seen during the convention this week, but over the weekend the first announcement trailer has been released! 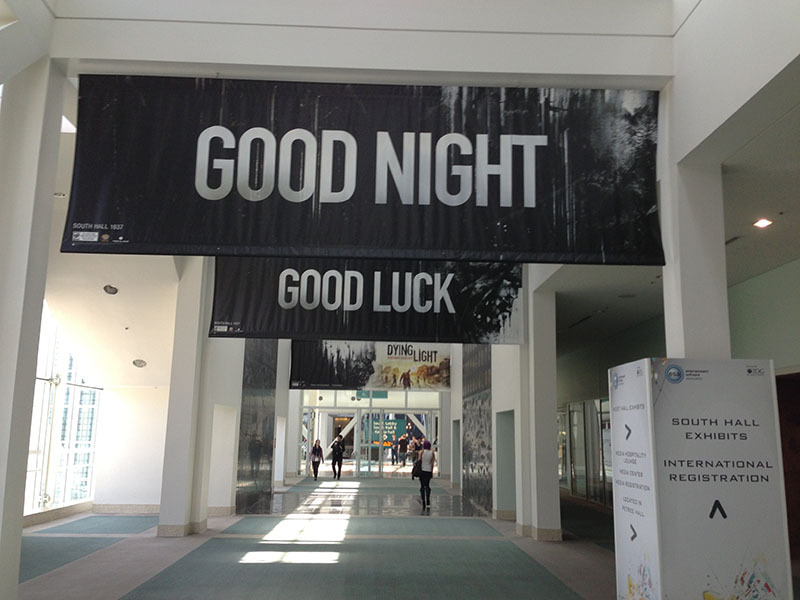 Also, they are pushing the game in a huge way before the doors to the main halls even open, with a giant outdoor poster on the wall of the convention center and banners in the hallways. We’re glad to see Warner is as excited about this project as we are!